I.M. 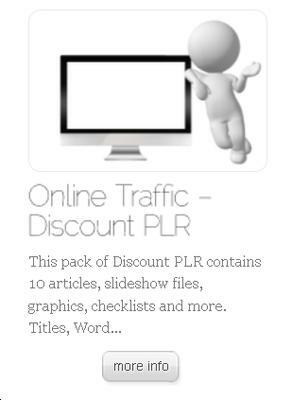 Niche: Online Traffic #1 PLR Articles Pack x 10 for the online business and IM niche internet marketers. The total word count on these articles is 4,780 words and includes a brilliant set of FIVE bonuses you and your readers will want to put to great use in promoting and growing your business. - Offering tremendous value through posts, links and valuable information. You can link to your website and blog posts. Motivate a click by creating a compelling headline and teaser for your post.